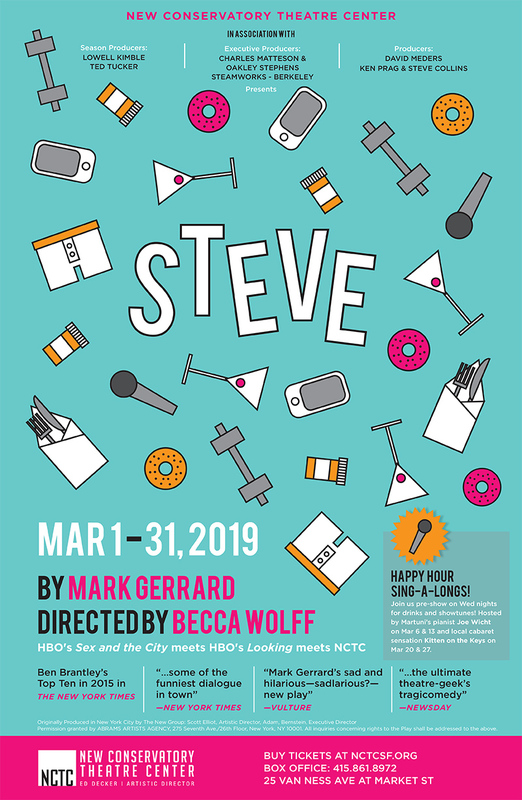 I designed the marketing materials for the regional premiere of Steve at the New Conservatory Theatre Center in San Francisco. I created the vector illustrations and used a vivid color palette to match the comedic nature of the play. It opens tomorrow, March 1st and runs through the month. See more in my portfolio.